Nokia has expanded its Asha portfolio in the country with the launch of Asha 303 smartphone. 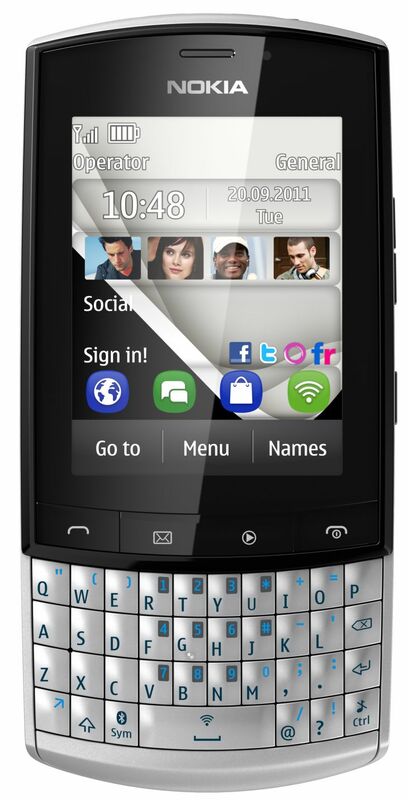 QWERTY-based Asha 303 runs on Symbian Series 40 OS and has been priced at Rs 8990. First announced at Nokia World 2011 in October, Asha 303 comes with 1GHz processor and a 2.6 inch capacitive display. Other features of the phone include full QWERTY 170 MB of internal memory with support for memory card, 3.2 megapixel camera, built-in FM radio, Bluetooth and internet radio. Nokia Asha 303 comes pre-loaded with applications such as Angry Birds Lite, Mobile TV with Zenga TV, Whatsapp, NokiaMaps and Nokia Music Unlimited. The phone is available in red and graphite colours. Nokia has partnered with Vodafone India to provide attractive data offers for the smartphone.